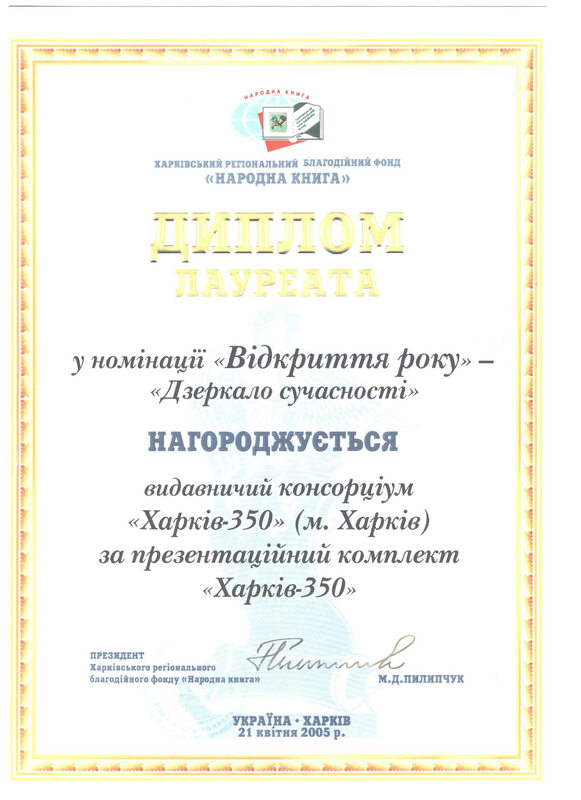 Geographic information system "Kharkov 350". CD "Everything is in Kharkov". CD "The map of Kharkov". 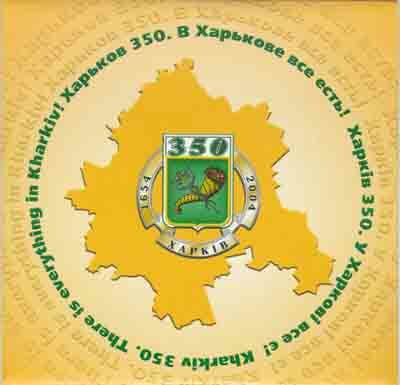 Geographic information system "Kharkov 350" is an electronic edition on CD-ROM, built on the basis of an electronic map of Kharkov M 1:10000, which is supplemented by thematic layers. 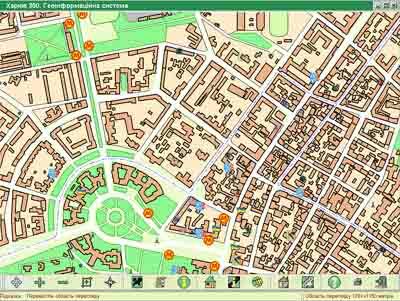 Built-address system allows you to find and visualize objects (streets, buildings) on the map. Atlas of Kharkov is a full-color edition (size A4). Artwork of atlas is based on an electronic map of scale 1:10 000 with detailing of a single building. The central part of the city is displayed in the atlas on a scale of 1:5000. The atlas contains more than 2500 streets, around 130,000 buildings. 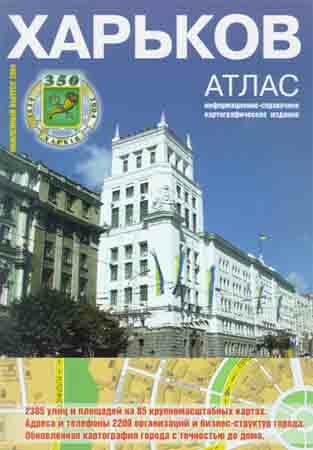 The content of the atlas consists of advertising pages of the most well-known city enterprises, the address pointer and a list of companies, organizations and institutions that are displayed on the map. The CD "Everything is in Kharkov" is an electronic bank of city enterprises commercial offers with a brief description of the products and services. 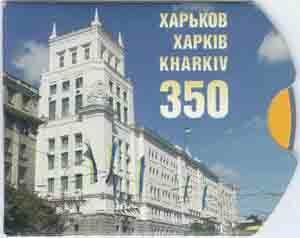 The CD "The map of Kharkov" is multimedia electronic edition, which contains photographs of historic sites, monuments, streets and squares of the city. The project was awarded the diploma.